Overview: This is a long-term review of the TX98 from Kastle. This ski is one of the more versatile skis on the market and arguably a quiver of one. 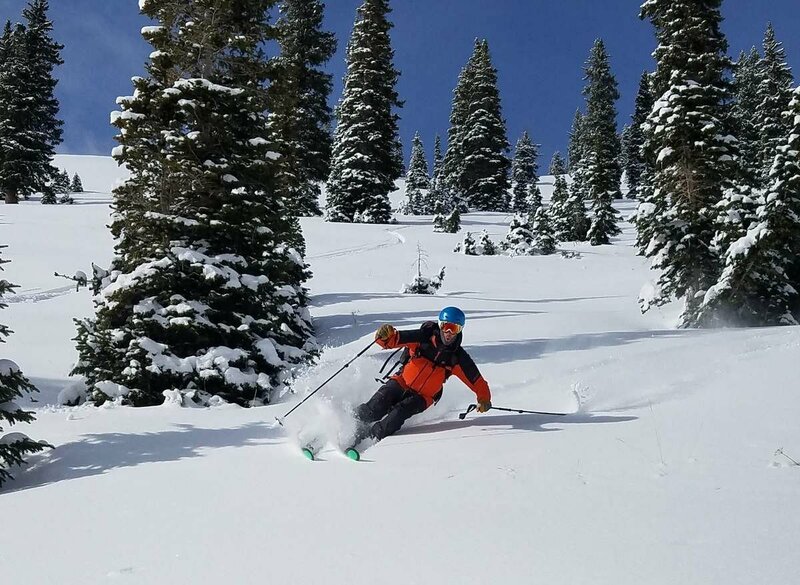 We have tested these skis inbounds and in the backcountry, from powder, to groomers, to refrozen chunder, couloirs, big spring tours, and winter powder touring; we can genuinely say we have put this ski through the ringer. Uphill Performance: These skis are light enough to go anywhere. When breaking trail in deep powder these skis always seem to rise from to the top. The traditional camber underfoot helps keep these skis firmly planted on steep slick skin tracks in the backcountry. Downhill Performance: Kastle is know for their downhill performance and these skis area no exception. These skis charge but are yet nimble for those tight spaces. The traditional camber underfoot allows for great hold on icy conditions and groomers. The rockered tip allows for plenty of float, more than you would expect for a 98mm waisted ski. These skis tend to ski shorter than their advertised lengths due to the rockered tip. The initial intimidation of the 188 was quickly dissolved when I got on the ski and recognized who nibble they are. Conclusion: Kastle has made an extremely versatile ski with the Kastle TX98. Light enough for big tours and stout enough for resort duty. These skis excel in the backcountry and performance well beyond expectations in deep powder. If your looking for an everyday backcountry touring ski, give the TX98 a shot, you will not be disappointed. I have been very interested in these since reading Outdoorgearlabs 5 star and best in class – backcountry review. Unfortunately I can only find 1 online shop that sells them and they’re out of stock. Any big gear shops near SLC that stock these?